We ate breakfast and lunch here. Uniformly excellent for taste and service. Location overlooking the water can't be beat. 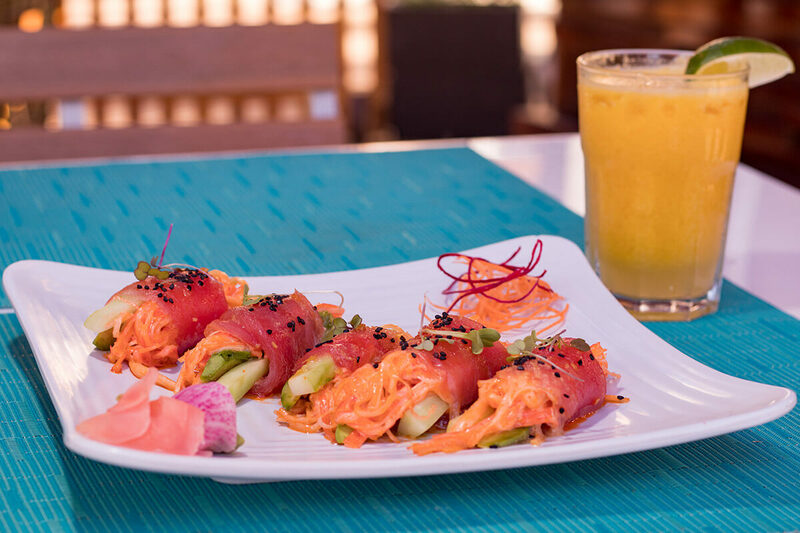 Pulling inspiration from the savory Italian dishes and bold Mexican flavors that individuals around the world have come to love, the chefs of Bella California have created a diversified menu that temps palates and satisfies cravings for breakfast, lunch, and dinner. The myriad platters, which combine fresh ingredients and a variety of spices, perfectly blend the techniques of traditional and contemporary kitchens to bring guests an enticing explosion of flavor and aroma. 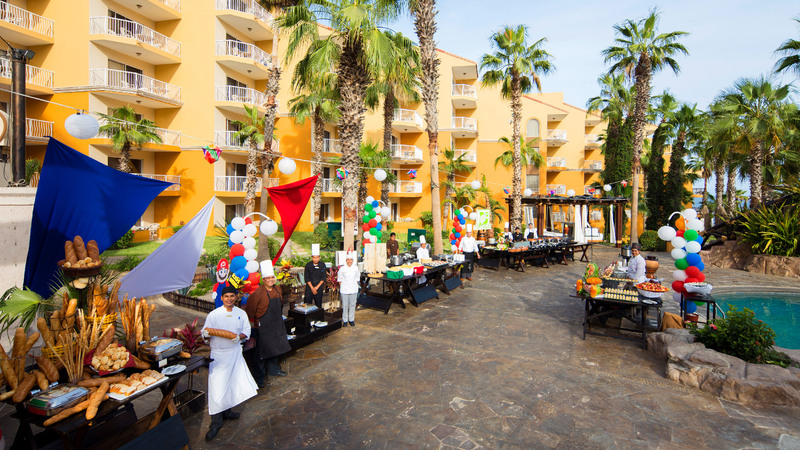 Visit the Cabo San Lucas Restaurant, an outdoor eatery with sensational views, during breakfast for a scrumptious buffet or a la carte options that show off the sweet and savory flavors of stuffed crepes, smoked salmon frittatas, chilaquiles, and more. 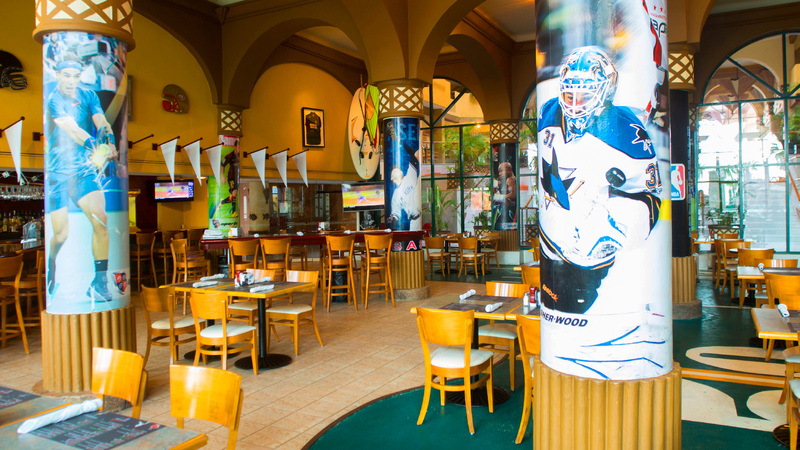 For lunch and dinner, delight in oven baked pizzas, roasted chicken, Italian favorites, in addition to numerous other platters that will have you wishing you could eat all day long. 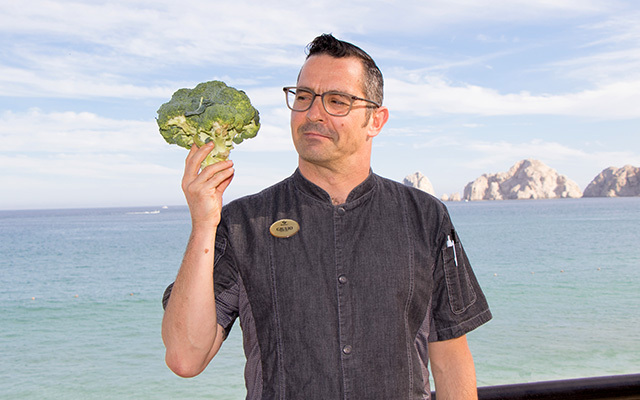 Behind the savory aromas at our Cabo San Lucas restaurant is Giulio Lupori, the Executive Chef at Bella California. His passion for cooking began in Ponte Buggianese, a small town in Tuscany, where at a young age he was intrigued by the fire and fancy knife work he saw at his grandparent’s home. From there, his passion for cooking emerged as he watched his grandmother prepare meals when he was no taller than the table and as he began experimenting with different ingredients while he cooked meals for himself and friends. Inspired by their reviews, he moved on to work under Chef Fulvio in Sardinia, where he learned his way around the kitchen. His obvious talent earned him work in both Italy and Mexico, where he has done everything from cooking to opening restaurants. In 2016, Chef Lupori became part of The Villa Group team, pouring his soul into each dish he prepares. The sweeping ocean views, subtle sound of the waves as they roll onto shore, and the inspiring sunsets that grace the horizon all contribute to the astounding ambiance at Bella California. 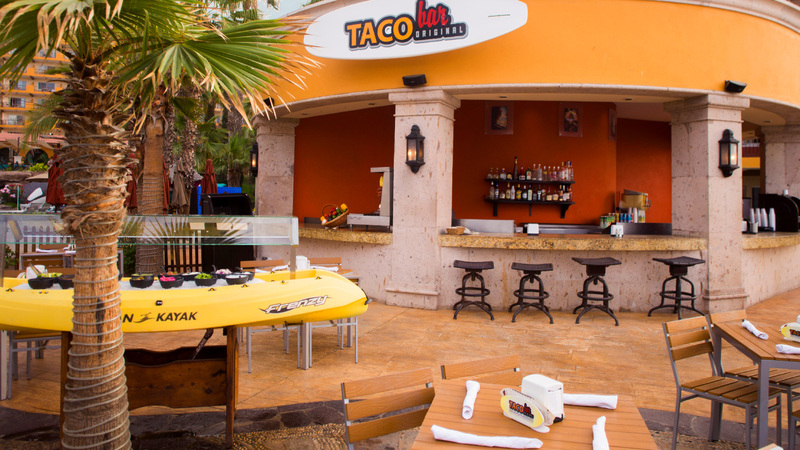 Guests can revel in the elegance of the Cabo San Lucas restaurant, which is honored by the open air seating, calming decor, inviting aromas and friendly service. 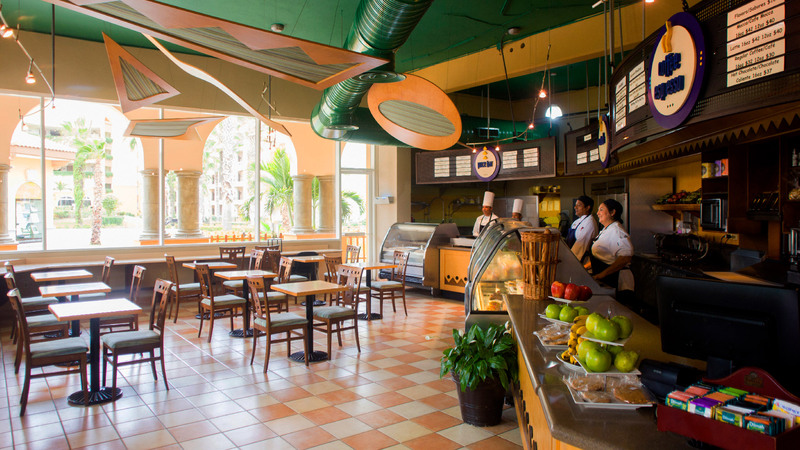 Whether delighting in the fresh morning breeze, lingering in the afternoon shade, or dining in the romantic ambiance of Bella California’s dinner service, you are sure to enjoy the atmosphere almost as much as the delicious culinary creations that come from the kitchen. Mixed greens, cherry tomatoes, kalamata olives, bell peppers, anchovies, boiled eggs, arugula, red onions, mixed bell peppers, seared tuna fish, extra virgin olive oil and lemon dressing. Fried chicken breast breaded with panko, cherry tomatoes and basil garnish. Oven baked fish with cherry tomatoes, garlic, lemon and parsley. Served with green pea puree and soft baby potatoes.